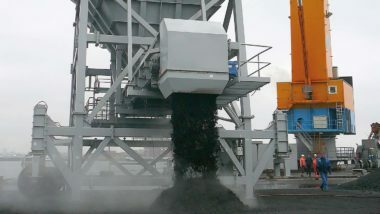 HH100 Loading Hopper is standardized for receiving material from a grab crane at ports and stock yards. 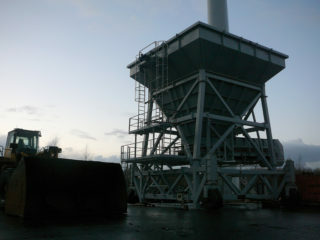 HH100 Loading Hopper can be fed with grab crane or vessel ́s own discharge boom. 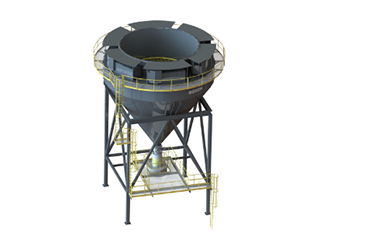 Loading Hopper is equipped with an adjustable hatch that discharges the material onto a truck or a fixed port conveyor. rubber wheels. Travel drive can also be added for better maneuverability. 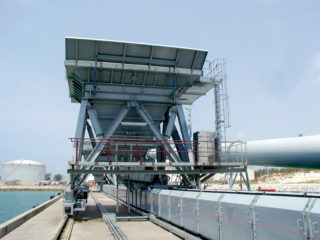 HH100 Loading Hopper is equipped with service platforms for main access points. Dust suppression units can be maintained from the upper service platform. Lower platform allows access to telescopic chute and discharge unit.